Whhaaaattt?! Two blogs posts within a few weeks? Yes, I know it's shocking. Haha, I've been terrible at updating lately but I'm trying to get back into the swing of things. These photos were mainly taken for my Ravelry so I would have better photos of the shawl I finished for Christmas, but I thought they were cute enough to share here too. The skirt I am wearing is me-made and the shawl was knit from the Haruni shawl pattern (it's a free pattern on Ravelry). I always have a hard time pairing this skirt with anything but black, so I was super excited when I realized I could now also pair it with my Haruni shawl. It's going to be a long couple weeks of medical appointments, so I've been distracting myself with lots of knitting. All the appointments are fairly routine but there is quite a few of them and going to a hospital is always a bit nerve wracking. I started a new lace shawl to keep me occupied and am thinking about also casting on a new 1930's sweater. Hello everyone! I'm back with another outfit post. I've been making more of an effort to get dressed up on the few occasions I'm outside. I've been dealing with a bit of a cfs/me flare-up, so lately most of my time has been spent inside the house (at least I have some fun new pajamas to wear!). When I do get out for a bit, I'm trying to make the most of it! For Sunday coffee, I decided to go with a late 1910's / early 1920's look. This is the kind of vintage look that I feel doesn't look particularly "vintage" despite the fact that the sweater was knit from a 1918 pattern. The skirt was made-by-me, and I paired it with my faithful ol' boots and beret. "It's so cold out here! Can I go inside yet?!" Tehehe. 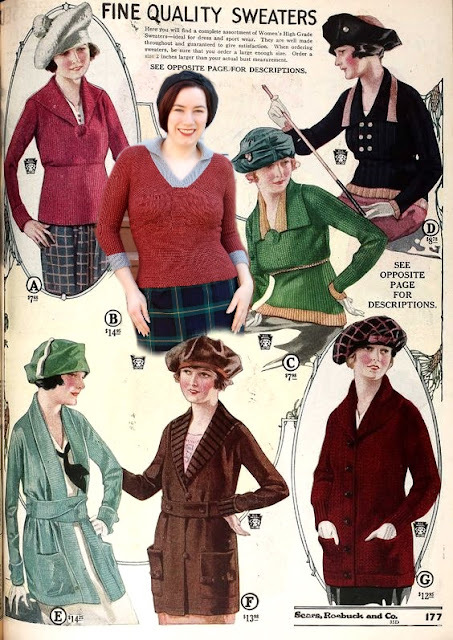 It always amuses me to edit myself into the catalog pages to see how well I would fit. 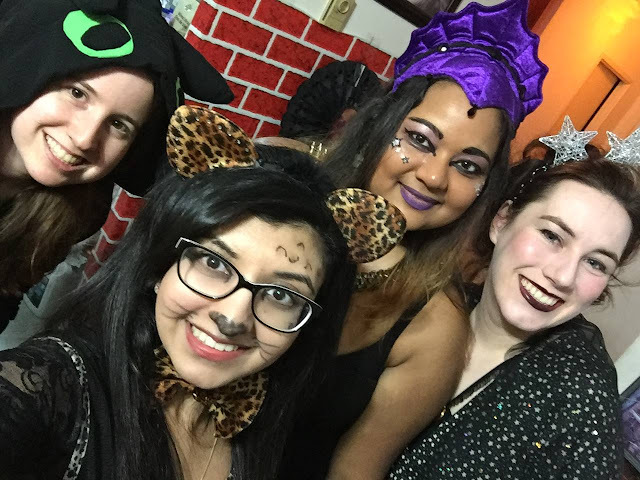 My hat really should have been pulled down over my forehead instead of pushed back, but overall I think I did ok! 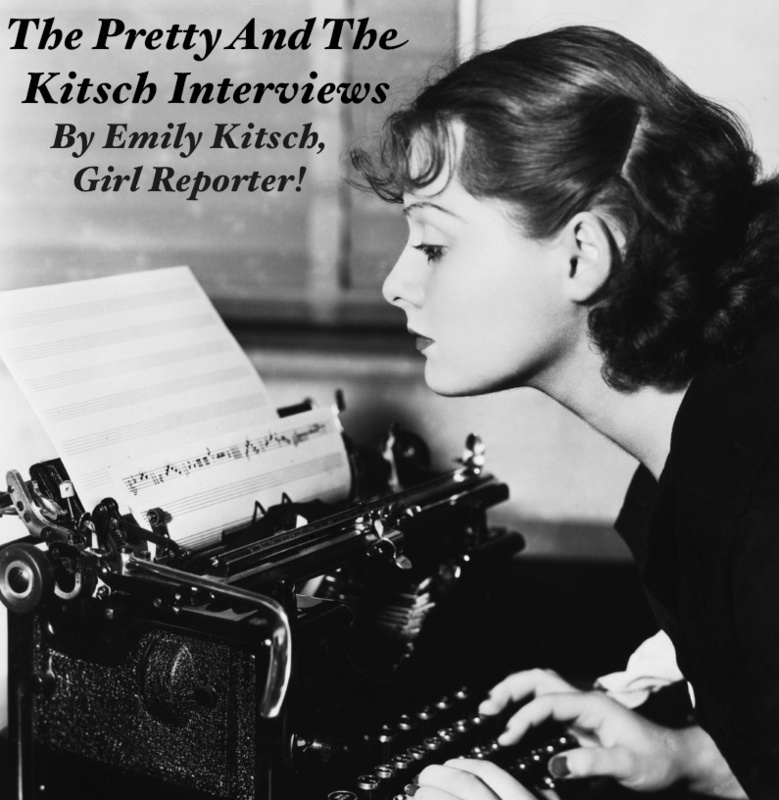 In other news, my Etsy shop was featured on the wonderful blog "The Pretty and the Kitsch" a couple months back and I just realized I completely forgot to link to the post here. I did a full interview about my shop, sewing, my sources of inspiration, etc. You can check out the post here but I would recommend also checking out the rest of Emily's wonderful blog while you are there! 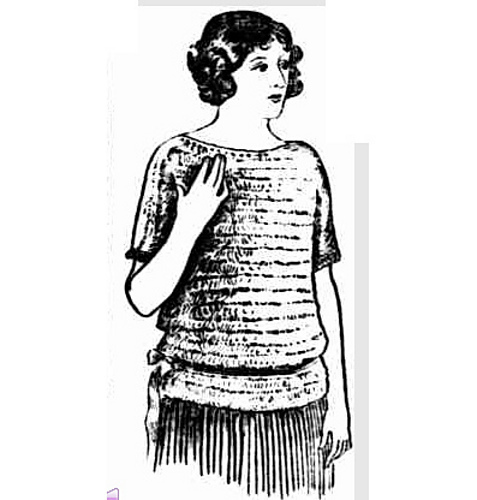 If you are plus size, she recently did a great roundup of vintage sewing and fashion resources (including my shop!). Speaking on my shop, expect a big update/overhaul in about a month or two. I was hoping to get a bunch of new listings up last month, but health-wise I haven't been the best. My wonderful friend Britt has offered to come over and help with my inventory/reorganization, which has to be done before I can work on sewing, which is so generous of her. With her help, I should be able to get everything back on track and finally get some new listings up! I have some new evening gown designs I want to try but I'm also planning on focusing more on lounge-wear. 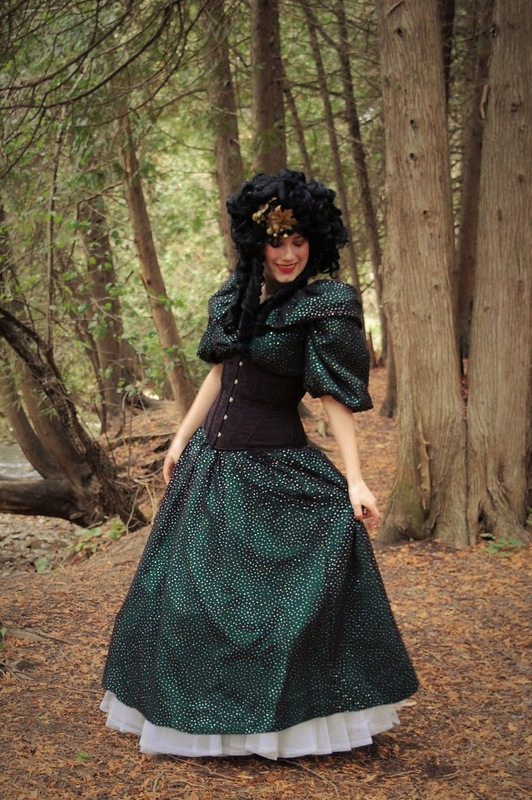 I wear a lot of lounge-wear at the moment and would love to be able to offer more vintage-inspired pieces for people like me who can't always dress-to-the-nines! 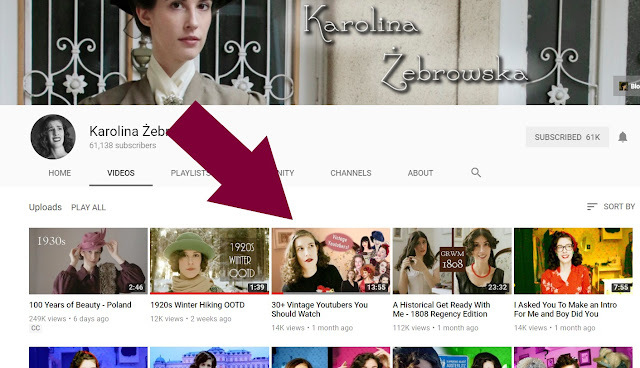 My YouTube channel was also recently was featured on Karolina Żebrowska's video "30+ Vintage Youtubers You Should Watch". I was so thrilled to be featured and it was great finding a few new channels to add to my subscription list (although I'm already terribly behind on my YouTube viewing!). I was going to embed the video here, but she listed even more in the description so I've just linked it here so you can get the full list. Why, hello there! It's been a while. I feel like I haven't blogged in forever. There's been a number of reasons for that (fatigue, terrible weather for photo-taking, lack of time or motivation, etc) but I didn't really realize how much I missed taking outfit photos until today! I'd forgotten how much I enjoy playing around with my camera, and having my bff snapping the pictures and making me laugh certainly upped the fun level. But golly, it was cold outside! I've been rather lax in my dressing lately, so I decided a theme was needed. I flipped through Eaton's Fall and Winter Catalogue 1920-21 for inspiration, and attempted an outfit similar to those that could have been purchased through the catalog. 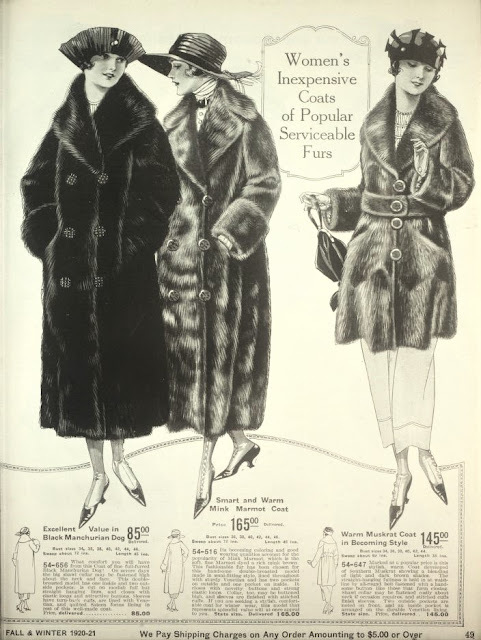 The faux fur coat is a vintage piece, as is the clutch. My boots were purchased many years ago at Soft-Moc, and my gloves are from a small boutique that sadly is no longer around. 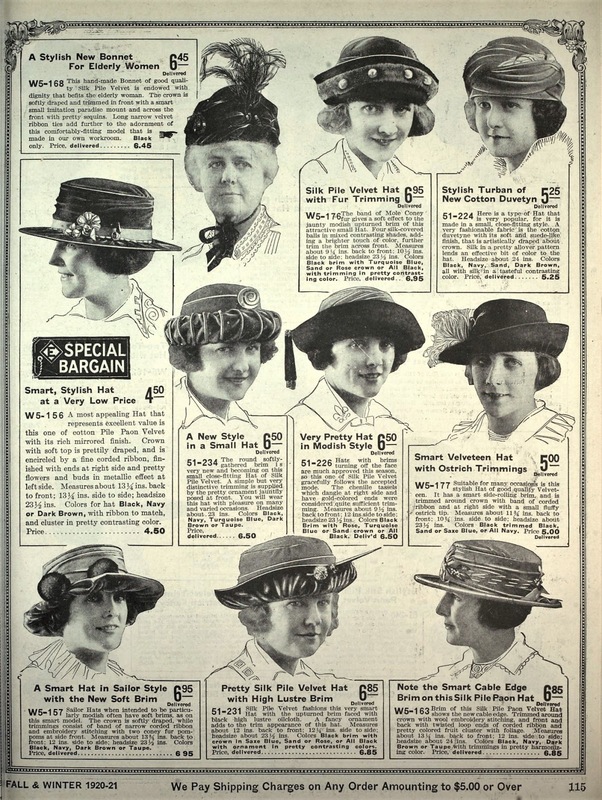 The hat was purchased from a dollar-store, with the intention to refashion it into something a bit more vintage. I cut the brim down (finishing the raw edges with bias tape) and added a scarf + vintage brooch. The earrings are also me-made from some pendants from a craft-store. For a dress, I went with a brown velvet dress (refashioned from a velvet pant-suit) with a turquoise ribbon worn as a belt. 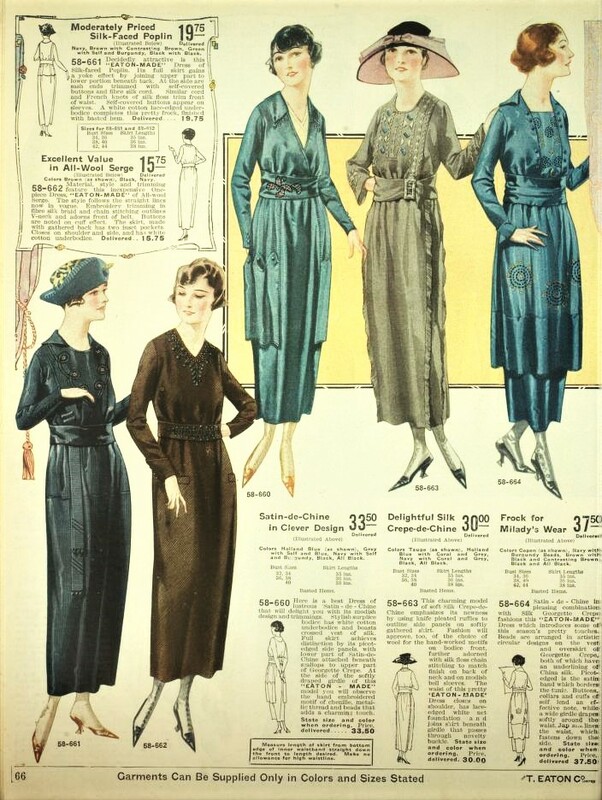 While "1920's dresses" usually make one think of dropped waists, from the catalog images you can see that in the early 1920's a higher, natural waist-line was still quite popular. I wish I had some news to report or something interesting to talk about, but basically my life for the last month has just been a marathon of doctors appointments which are sadly quite routine for me now. Hopefully in the next month or two I will have time/energy for something more exciting.